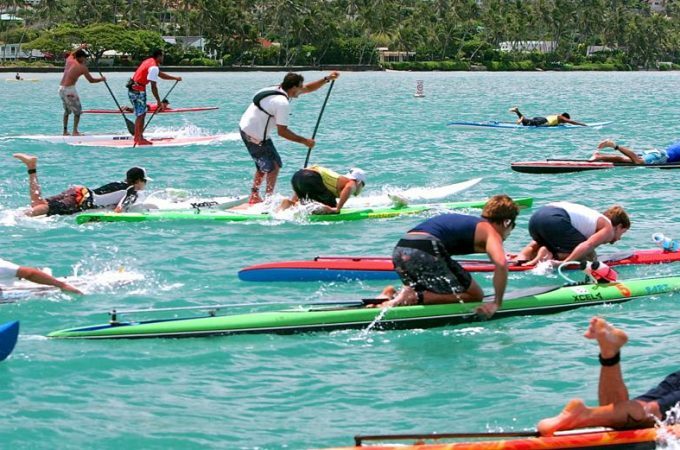 Hawaii Paddleboard Championship – Hawaii’s Original Paddleboard Race: Also Know as "Duke’s Race"
Hawaii's Original Paddleboard Race: Also Know as "Duke's Race"
Epic News: We are Now the Final Event of the Maui Jim Majors Series! 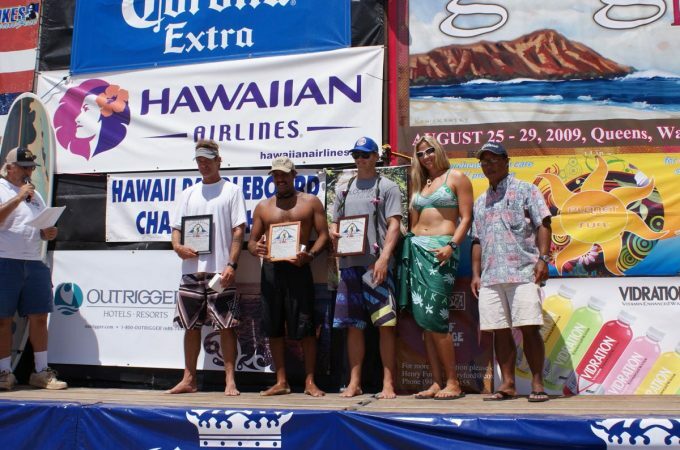 The Hawaii Paddleboard Championship is Proud to be an Accessible Event! We make accommodations for all all athletes including those with disabilities, veterans, senior citizens, men, women and minors. Above see the photo of Mark Matheson as he is crosses the finish line. Mark is a paraplegic and serves as a board member for Easter Seals of Hawaii. He has crossed Molokai channel solo several times. Mike Cheape, Award Winning Teacher from Oahu Competes in Prone Paddling Race Every Year! Duke Kahanamoku is a legend and known around the world. 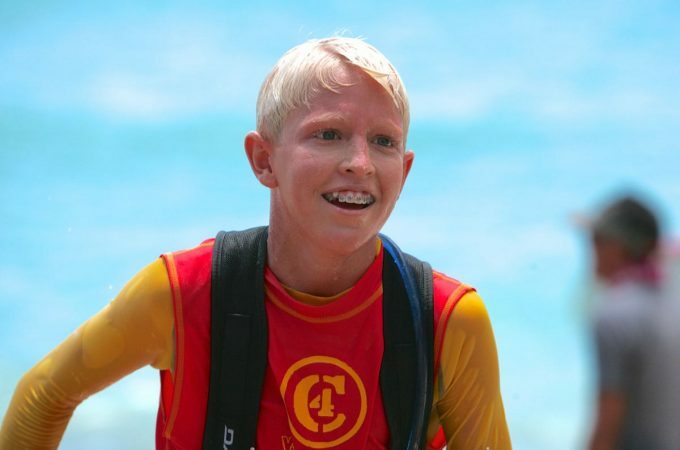 He was not only a great swimmer and surfer, but he was a pioneer in the prone paddling. Today the technology in paddleboards has changed and new styles such as stand-up paddleboarding have emerged. Read more about the history of “Duke’s Race” here. Conner Baxter remains the record holder for the Duke’s Race! World Class Athlete Andrea Moller Paddles Into Jaws! Is Kai Lenny The Poster Boy for All Ocean Athletes?